Today I want to tell you about five places to see in Lanzarote, an island that has a lot to offer regarding places to discover to understand its history and the power of nature that populates the island itself. I begin from the Salinas de Janubio, not far from Los Hervideros and Playa Bermeja. 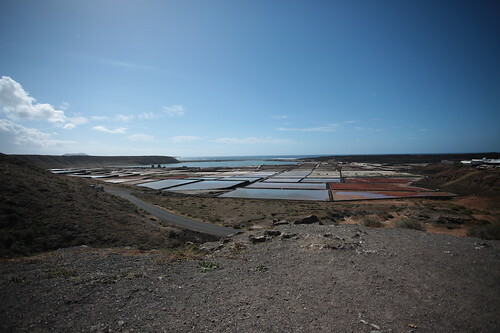 It is an extensive complex of salt marshes located between a panoramic promontory and the homonymous beach: the complex creates a unique panorama to the point that the European Union has activated subsidies to keep the salt works in operation.There is a road that leads from the main street up to the salt pans, but it seems only for those who want to go to buy salt and not for curious tourists who would like to get closer to see them better. Overlooking the salt flats is the restaurant “Mirador de las Salinas”, where you can stop here to observe them from above: you do not have to sit in the restaurant to see the panorama because there is a small panoramic point that runs along the terrace of the restaurant itself. 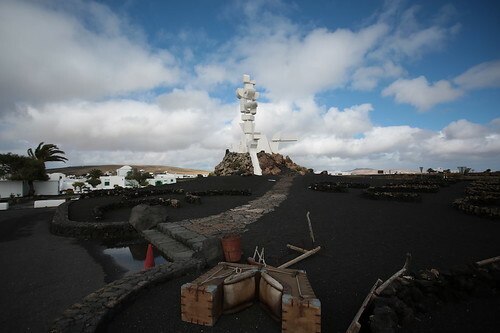 Not far from the village of San Bartolomé is the “Monumento al Campesino” (“monument to the farmer” in English), which includes a museum and a gigantic monument with an abstract form. I can’t suggest you to visit the museum because I have made the decision not to attend it, but I suggest you make at least one stop under this white monument that is located precisely in the geographical centre of Lanzarote. 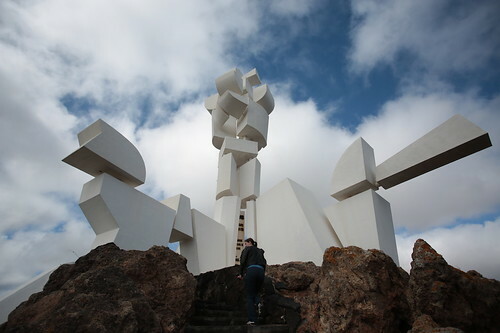 The memorial to the Campesino, dedicated to the peasants of Lanzarote, was built by Cesar Manrique. The base of the monument is in rough stone and recalls the walls and walls that surround the cultivations of the island’s vineyards (vineyards of volcanic malvasia). There is a ladder that allows you to get on the base, right under the monument itself: I advise you to be very careful if the day is windy because the current in there can be extremely powerful. 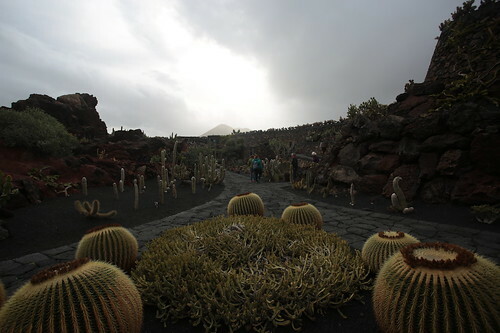 One place that has disappointed me is the Jardin de Cactus: it is located near Guatiza and Mala, in the north of Lanzarote. It is a garden/museum that houses 1,420 species of cactus for a total of 9,700 plants, the entrance fee costs € 5.50 and it seems that Cesar Manrique much loved this garden. It can be recognised thanks to an 8-meter metal cactus located in front of the entrance gate and the middle of the garden there is a small aquatic garden. Inside the enclosure, there is also a little cafe, where one can stop to drink something and make a short pause, before continuing the journey to discover the island. 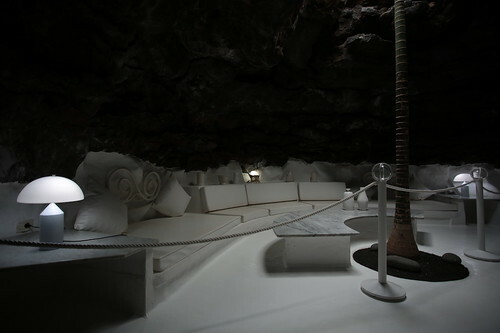 A place that, however, has impressed me a lot is the Cesar Manrique Foundation. 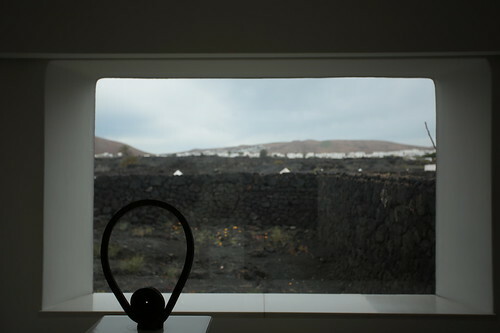 Located just 6 kilometres north of Arrecife, this was Manrique’s residence itself. The estate is called “Taro de Thaiche” because Manrique had it built in the lava field just outside the small village of Thaiche, located along the LZ-1. The entrance fee costs 8 euros (children enter for free), and the visit lasts about an hour. In the rooms on the “ground floor” there are works by Manrique himself, Picasso, Mirò and other artists. The part that struck me most is the basement: the rooms that are here, bearing the words of the guide, “are made of the huge air bubbles trapped inside the lava flow” and that’s why they hit the visitors staying in their head. In the basement there is also a beautiful outdoor area with swimming pool and barbeque: in this area, the colours strike because the natural lava stone creates a lovely contrast with the one that, instead, has been painted white. If you plan to visit the Cesar Manrique museum in Haria, do not throw away the foundation ticket because you are entitled to a discount on the museum entrance ticket. I conclude by telling you about the El Grifo Wine Museum. 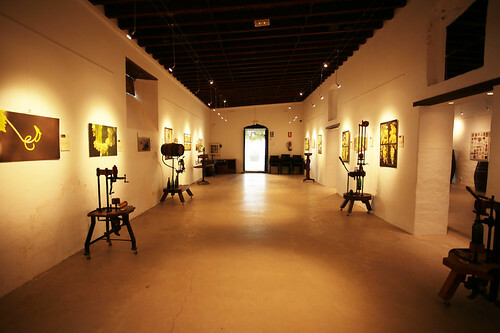 It is located within the El Grifo winery, the oldest winery in the Canary Islands, and there are exhibited traditional equipment for the production of wine. The entrance ticket costs 5 euros and also includes a wine tasting (there is also a 12 euro ticket, and the only difference is that you can have more tastings). The visit does not take much time: if you are interested even a little ‘to visit this small museum, I suggest you add it among other visits, possibly along the way (unless the oenology is your big passion).